Product Detail Summary: Rev up the style! On the Go Barbie® zooms around in her ultra-glam Mega Bloks Build ‘n Style Convertible! This pretty, pink car has doors and a trunk that really opens! You can also swap out the rims for sparkling spinners that show off your Barbie® style! 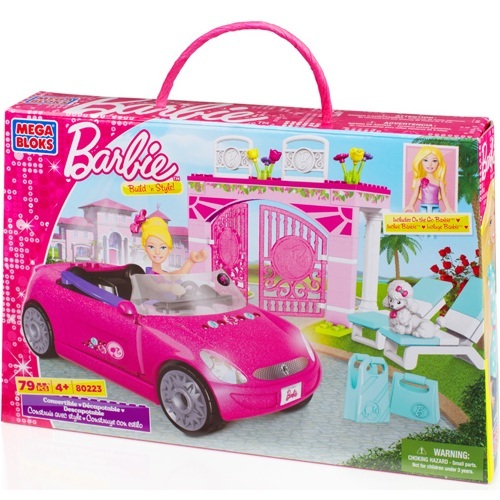 The convertible has more than enough room for On the Go Barbie® and all her fab fashion finds. Zoom down the fast lane right into her buildable pink carport!